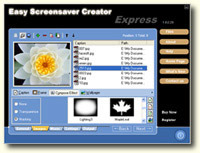 Easy Screensaver Creator - Express Creator is great for creating free windows screen savers to display your Christmas, family, travel, baby, pet, wedding, etc... These photos can be created as free screen savers on your work and home computer and you can create a single screensaver file or application to email and share these free screensavers with your friends at any time. The perfect way to create screensavers for free or resale distribution. 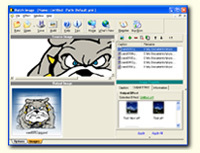 Create screensavers for advertisement, promoting your business or organization etc... (for commercial, government, non-commercial or prvate use) and inclides installation customization and resale features.